This column is sponsored by BizLaunch, a division of Arlington Economic Development. Recently, Arlington has been featured in the news for its collaborative approach to innovative alcohol safety measures. 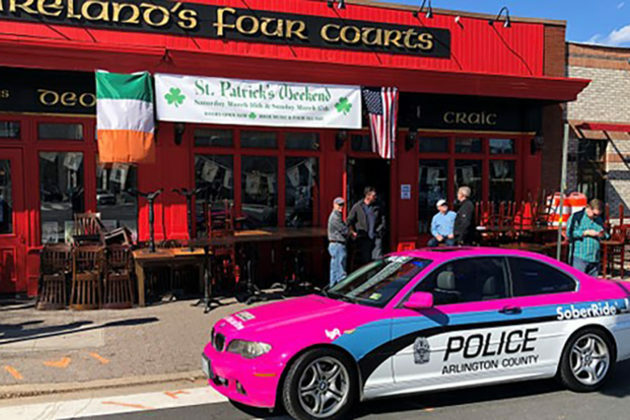 Through a collaborative approach between government agencies and businesses that serve alcohol, Arlington County has improved the strategies and standards of establishments serving alcohol while building positive community relations, reducing crime and recognizing responsible businesses. Restaurants, many of those that are small local businesses earn accreditation in ARI by writing and adopting employee policies that meet the ARI standards to reduce alcohol-related harm and increase safety. Restaurants that display the ARI Accredited Restaurant decal on their door demonstrate their commitment to the safety of their patrons and the community. 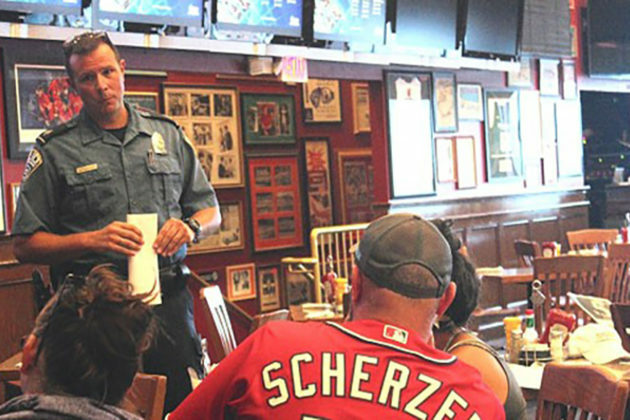 Patrons, restaurant staff, and those interested in maintaining Arlington as a safe destination for entertainment are encouraged to attend a community conversation on nightlife safety. The event will feature panelists from various Arlington County departments speaking about how they collaborated to build trusting relationships with restaurant staff and improve safety. ‘A Conversation about Nightlife Safety’ will take place on Wednesday, May 1 from 7-9 p.m. at the John T. Hazel, MD Conference Center, 1701 N. George Mason Drive Arlington, Virginia 22205. To learn more about ARI or to register for our conversation about Nightlife Safety visit here. We hope you can join us to learn more about Nightlife Safety. 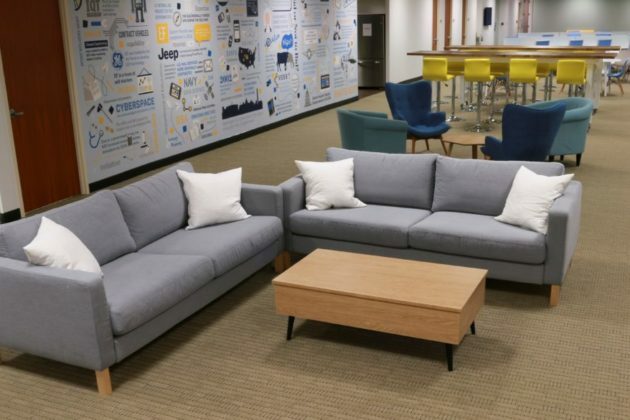 This article was written by Erik Skantze, winner of Arlington Economic Development‘s Startup Arlington Competition and Chief Production Officer for Richmond-based education startup, EdConnective. It’s hard to believe that I arrived in Arlington only two short months ago. 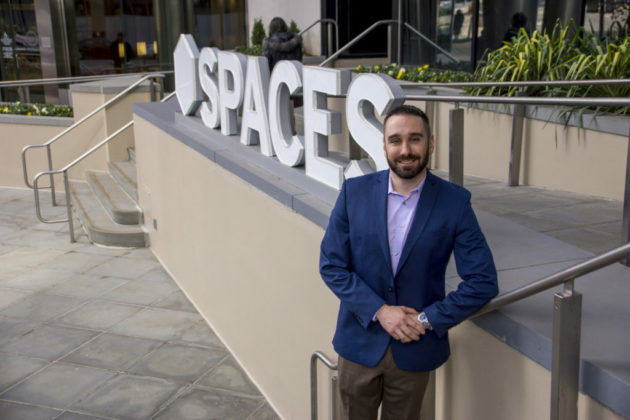 Somewhere between working at SPACES in Rosslyn, getting a fabulous introduction to the area through Chasing Dragons, and enjoying the daily breakfast buffet over at the Residence Inn Marriott, I came to the realization that Arlington has some excellent offerings for entrepreneurs. These are my top three. Startups are a lot like rollercoasters. Sometimes you experience the thrill of rapid twists and turns in a growing business. Sometimes you experience a knot in the pit of your stomach as you are staring over the edge of what looks like a bottomless abyss. Other times you are just inching along a steep hill, grinding it out to get the next client, investor or product iteration that will propel you to the next stage of the startup lifecycle. Freedom Park makes for a quiet walk in the heart of Rosslyn (outside of lunch hours, at least!) with great views of D.C. and plenty of opportunity to admire the local architecture. Theodore Roosevelt Memorial Island is Arlington adjacent and accessible by a quick bike ride or walk — after a short walk you will be so surrounded by nature that you may even forget you are in one of the most populous metro areas in the U.S. Although the George Washington Memorial Parkway might not always be associated with relaxation during rush hour, a quick stop along the overlook (or a walk through Potomac Overlook Park) makes for a great drive/walk combo. Does anyone really need same hour grocery delivery? Probably not, but it does have its novelty and it might even save you some time during a hectic day. Sure, almost every city has an unending supply of new services and early adopters, but what I love about Arlington is that it is jam packed with early adopters. Whether it’s the ubiquitous electric scooter, Balkan cuisine, board game bars or home cooked ketogenic meals delivered to your door, the excitement, buzz and conversation about new concepts and services is what sets Arlington apart. That’s not to say that every idea is a winner or even that most of these concepts will endure the test of time, but Arlington presents an attractive proposition for an entrepreneur who thrives on feedback and needs to test his or her creation in a tangible way. Yeah, this one is decidedly less exciting than the other two, but I have come to find options in transportation to be a huge advantage. Hungry? Nothing beats an afternoon walk along Custis trail to Mom’s/Naked Lunch or (on those rough days) a quick scoot to Ben’s Chili Bowl for a fully loaded half smoke. Tech MeetUp? The metro gets me where I want to go. West coast conference? Both Reagan National and Dulles are a short ride away. Bonus: the trip to our Richmond office is just a couple hours by car or train, which means I can catch a morning meeting and be back in time for lunch! I haven’t gotten a bad answer yet, so I figure that’s as good a way as any to end this article. What’s your recommendation? Hit me up at @edconnective or [email protected]! Erik Skantze is the Chief Product Officer for EdConnective and has mixed feelings about electric scooters (loves riding, hates dodging). As the winner of the Startup Arlington Competition, EdConnective is excited to work with local educators, investors, and mentors to help empower principals and teachers to impact student outcomes. Calling all Arlington, Virginia business owners! Is your business stuck, and not growing year-to-year? Are you looking for new tools to take your business to the next level? 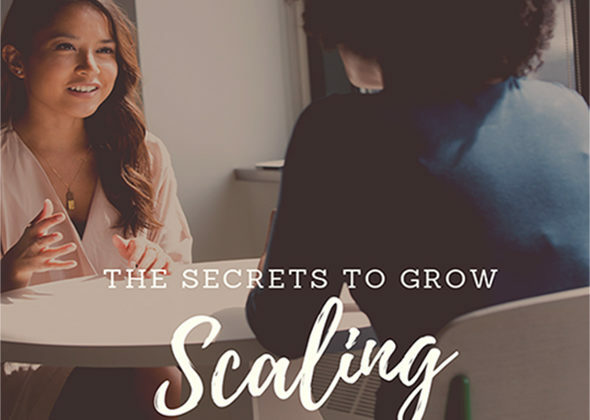 At BizLaunch, we have discovered the secret way to grow your business in 2019 — Scaling4Growth. BizLaunch, and the Virginia’s Department of Small Business Supplier Diversity division are pleased to announce a free opportunity for Virginia-based businesses to Scale4Growth. In partnership with Interise and using their StreetWise ‘MBA’, business owners who are selected for this 6-month business co-hort will increase their network, further their business knowledge and enhance their management know-how to grow their established business. In 2017, 70% of Interise businesses who completed the Streetwise MBA increased their annual revenue by an average of $399,600. If you are interested in applying for this innovative program, class begins May 23, and will meet every other Thursday through November from 10 a.m.-1 p.m. at Arlington Economic Development, 1100 N. Glebe Road, 15th Floor, Arlington, Virginia. According to Tracey G. Wiley, Agency Director of Virginia’s Small Business Supplier Diversity, “Executive education is the key differentiator for businesses experiencing exponential growth… This is the Commonwealth’s investment in partnering to grow small businesses through development opportunities.” All businesses selected for the program will attend with no fees. Willingness and ability to attend class for 6 months, complete mandatory assignments and complete program survey’s as requested. 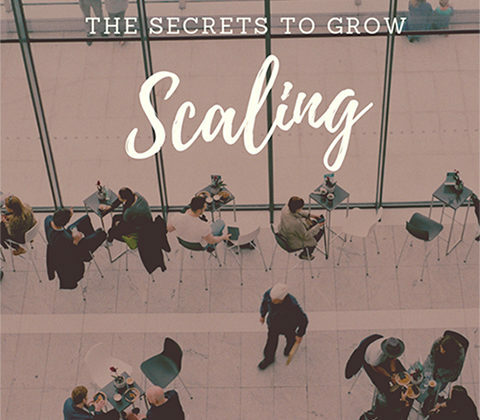 Testimonials from recent alumni of Virginia’s Scaling4Growth can be found here. 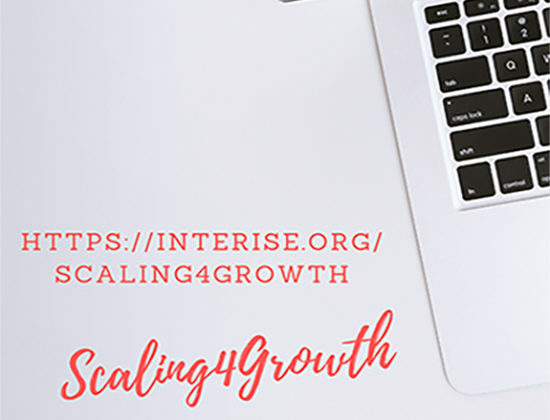 This is the first time Scaling4Growth is held outside of Richmond, Virginia. If you are ready to apply today click here! It is a simple process, and will be a rewarding opportunity for all local businesses interested in taking their firms to the next level. If you have additional questions please contact Kathy Dolan, with Virginia’s SBSD at 804-786-1087. 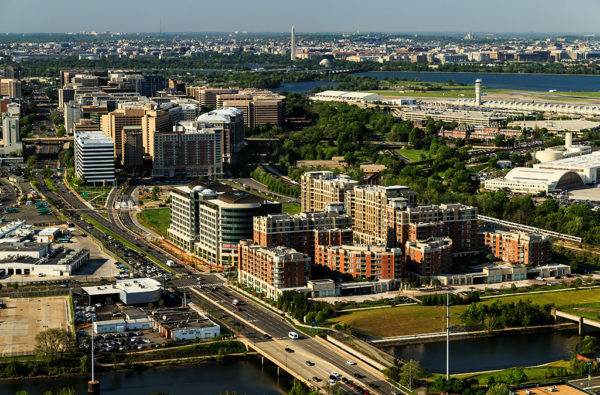 Small Biz Focus: Arlington — The #1 Digital County in the U.S. This article was written by Alex Taylor, Senior Business Development Manager for Arlington Economic Development. For the third consecutive year, Arlington County was ranked the #1 Digital County in the United States. But what does this really mean? 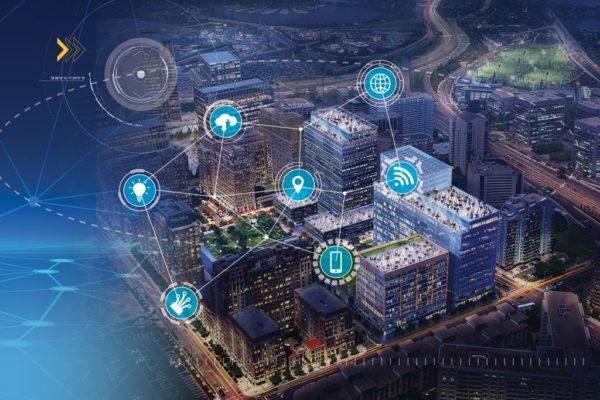 What is a digital county and why should Arlington residents and businesses care about residing in one? Well, you may know that the internet (ARPANET), GPS, Siri and other high-profile technological advancements were pioneered right here in Arlington, thanks to the Defense Advanced Research Projects Agency calling the County home for decades (see that historical placard in Rosslyn re: the creation of the internet? DARPA now calls Ballston home). But it isn’t the many innovations that have been envisioned within the boundaries of the County that has led to this distinguished title, it is County government’s efforts to tap these technologies to positively impact the efficiencies and effectiveness of government programs. Last July, The Center for Digital Government and National Association of Counties recognized Arlington for its best technology practices in areas of open government, transparency, public engagement, planning, cybersecurity and operations. In 2010, Arlington County partnered with the District of Columbia to pilot a bikeshare system across jurisdictions. Today, Capital Bikeshare is the largest bike sharing program in the United States. But bikes aren’t digital, are they? Well, the infrastructure that allows for them to join the sharing economy is, and Arlington was and continues to be a pioneer in transit advancements (hello, scooters and transit screens). The ConnectArlington dark fiber network that the County has rolled out over the last few years connects all schools, County facilities, traffic signals and emergency management offices on one closed circuit system. What many don’t realize is that as the technology becomes commercialized over the next five or so years, this system provides the infrastructure necessary to allow citizens to text pictures and videos to 911, which will then be routed by dispatchers to police officers, firefighters and paramedics arriving at the scene of an incident. Live streaming video from over 200 CCTV cameras in the County, which are located at most signalized intersections and major roadways, according to Director of Transportation Dennis Leach. Those cameras can be easily accessed by emergency response personnel, allowing for quicker and more efficient response. Arlington also has the ability to remotely manage its traffic signals to mitigate the travel impacts of accidents and maintain the flow of traffic around emergency and special events. The ConnectArlington system gets resources to where they need to be quicker and more effectively, and this will only improve as next generation 911 applications become commercially available in the coming years. 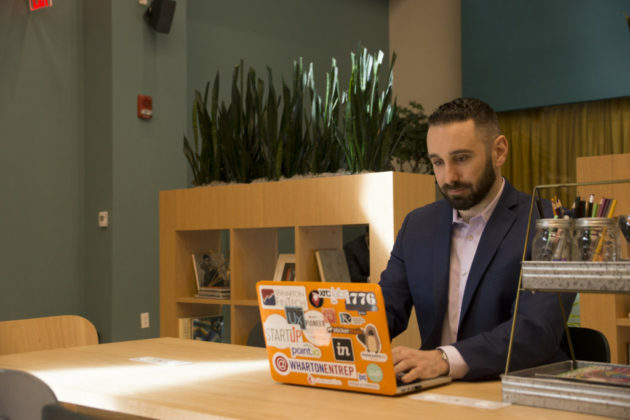 When the news broke that Amazon had chosen Arlington as the home for its HQ2, the County was quick to reach out to the community with a series of digital engagements across web and social media platforms. This quick reaction informed and engaged the public in a forum that could be the most impactful and responsive. And just last month, the County rolled out Arlington Wallet, a new online financial transparency tool. 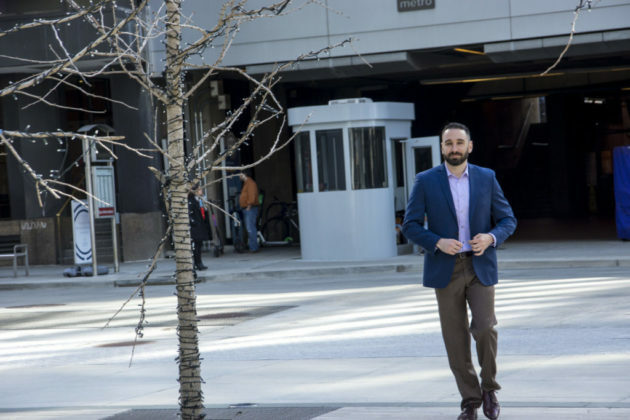 The resource allows anyone to access data to better understand the County’s financial information and is just one of the many ways Arlington County is sharing data with the community. So yes, Arlington County is very digital. It might not be in ways that most people would identify or that would make splashy headlines, but your government is taking aggressive steps to enhance its ability to connect to, and share resources with, its citizens; and it has certainly been recognized. It also makes it very easy for economic development staff to promote the County at a national level. Companies want to locate where innovation is the backbone of a community. That is very much the case in Arlington, whether it is local government services or world-changing federal government innovations (or Amazon). In December, Arlington County was featured on the CES 2019 Tech Talk Podcast Series. In the podcast, Arlington Economic Development Director, Victor Hoskins, Director of Transportation, Dennis Leach, and Director of Public Safety Communications and Emergency Management, Aaron Miller, break down what it means to be a digital community. It is an interesting listen, and they cover everything from emergency response to the future of transportation, or “people moving” as Leach puts it. Have a listen to learn more! The age of information sharing is moving at lightning speed. Each day thousands of internet activities take place in under a minute. Social media, emails, advertising and online sales. Your customers are constantly bombarded with information. 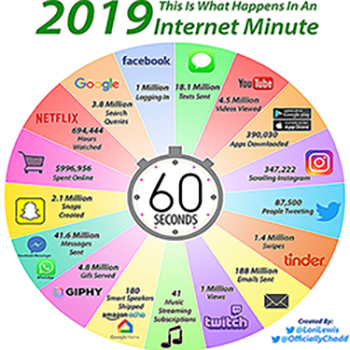 According to a recent study by @LoriLewis and @OfficiallyChad, 188 million emails are sent every 60 seconds in 2019. SO, just how does your business stand apart from others? With information 24/7 — how can your business attract new clients with so much activity going on per minute? This Small Business Focus blog has answers, and a concrete action item below. Find Your Voice — Speak at industry events. Post articles on blogs (like ARLnow) or industry papers. Be heard where your customers and influencers congregate. Be Present. Be the subject matter expert, and all things pertinent to your business. Excellent Customer Service — Be known for going that extra mile for your customers. Anticipate your customer’s needs, and be proactive with business intelligence. Channel your customers and create positive experiences for them 24/7. Leader in Your Field — Don’t be a follower. Be an innovator. Figure out best practices in your industry and go for the gold. Don’t be afraid of calculated risks. Create dynamic teams and cultivate a culture of creativity and trust. Identify the Missing Link(s) in Your Industry — Where are the opportunities? What does your industry need (I.e., what is it lacking?) and how can you best address it? Find winning solutions and connect the dots for others. This will always keep you ahead of your competition. Lather, Rinse, Repeat — As with all good things keep the momentum going. Don’t stop. Build up the pipeline. Positivity is infectious. Each day exhibit your personal brand of getting noticed in a sea of businesses. 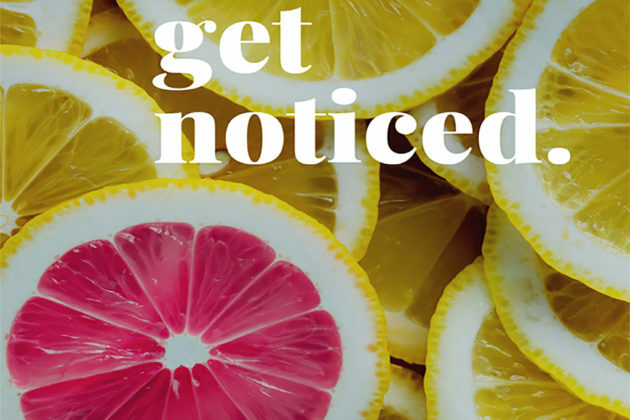 This workshop provides easy-to-implement methods for business owners and marketing professionals to turn heads, leave an impression and become the anomaly! Award-winning television host and businessman Miller will provide the audience a blueprint of what they can do TODAY to grow their brand and stand out from their competitors. This article was written by Christina Winn, Director of Business Investment for Arlington Economic Development. As a professional economic developer, I’m often asked by my fellow Arlington residents and business owners about the importance of economic development. After all, we have a thriving community with notable businesses, excellent schools, a highly educated workforce, an unemployment rate of 1.7% and beautiful parks and green spaces. What else do we need? Well, the problem is that our commercial vacancy rates are too high and we need to continue to broaden the commercial tax base. Arlington’s 2018 4th quarter vacancy rate is at 17.2% (which is significantly better than the almost 21% in early 2015), and it could take up to 10 years or more before we can reach a baseline level of 10%. Arlington County lost 34,000 jobs since 2001 due to the Base Realignment and Closure Act (BRAC), corporations right-sizing and the increased mobility of their workforce. Even with Arlington Economic Developments efforts to strategically market the county to attract new businesses, retain our existing business base and encourage our businesses to grow and expand, it takes time to recover. So why do vacancy rates matter? And most importantly, why does it matter to you? The majority of Arlington’s taxes comes from either the commercial or residential property taxes collected. Those taxes are what funds the services that we all enjoy as Arlington residents. Historically, Arlington is unique because our tax base is derived from almost 50% residential and 50% commercial. In most other communities the residential tax base carries the weight — which means the people that live there pay higher taxes. If our commercial office buildings are vacant with no occupied businesses (currently almost 1/5 of the 40 million square feet of office space is empty), then that means Arlington County is not collecting as much property and business taxes, which puts pressure on the general fund in providing the services we all enjoy. Our schools, transportation systems, parks and human services struggle for limited funds. Luckily, the recruitment of Amazon will go a long way to help broaden the commercial tax base and increase tax revenues to fund these services. So yes, economic development is important to you. As an Arlington resident, I want to continue to have top-notch public schools for my kids. I enjoy our beautiful and convenient parks and enjoy that my trash is picked every week. As a result, we will continue to market Arlington to attract new companies. We will expand our engagement programs to retain our existing employers and help them expand and grow. 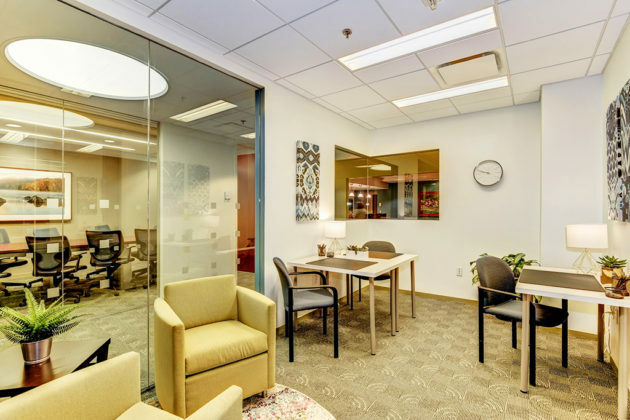 We truly understand that our mission is to generate revenue for Arlington County, and every program, service and project is focused on that goal. Every time you read in the paper that a new business has located to Arlington, be excited because that means their taxes are paying for your services. Women are launching businesses at a high rate in BizLaunch. From cyber security companies to health and wellness to engineering, women are starting and leading a variety of innovative businesses in the Arlington community. In fact, the number of women-owned businesses is growing at a rate five times faster than the national average. 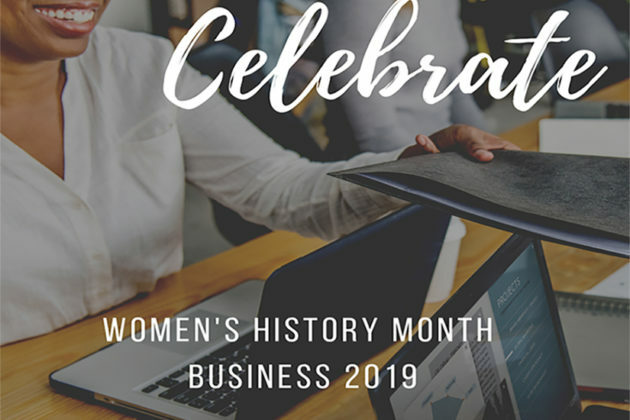 March is Women’s History Month and BizLaunch will be celebrating our women entrepreneurs at two dynamic events. 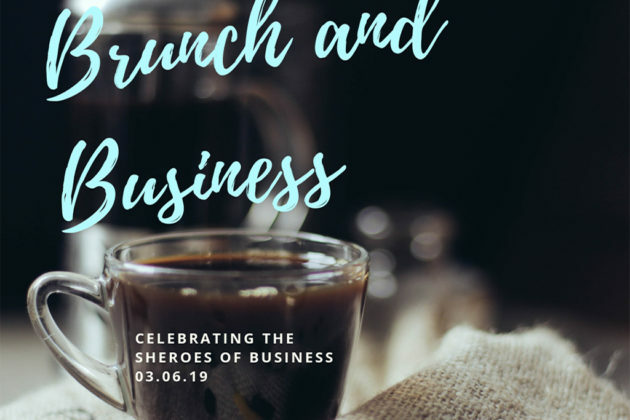 First, we begin the month by kicking off our latest Brunch and Business Series: Celebrating the Sheroes of Arlington Business on March 6, 2019 from 11 a.m.-1 p.m. at Arlington Economic Development. We will hear from three entrepreneurs as they share their stories of perseverance, dedication and hard-work. 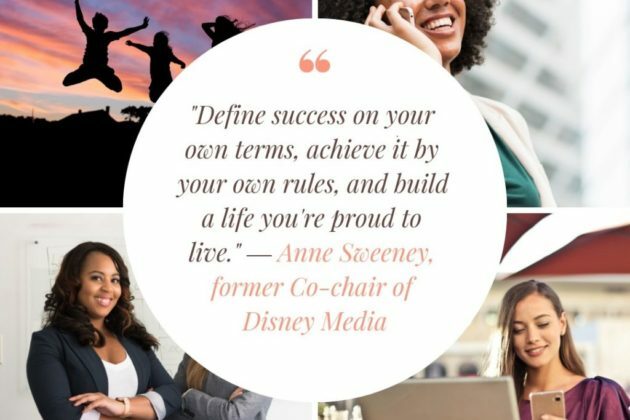 At this free event, you’ll have the opportunity to network and learn the diverse journeys of women who have lived their dreams of founding their successful businesses. 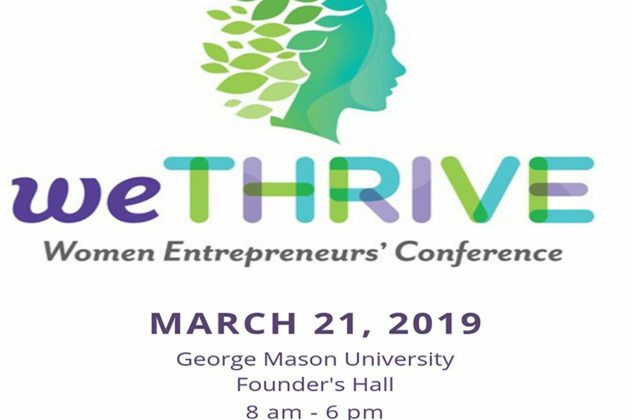 Next, BizLaunch is honored to co-host with SCORE DC our first regional Women’s Entrepreneurs’ Conference entitled weTHRIVE. The information packed conference will be held all day on March 21, 2019 from 8 a.m.-6 p.m. at George Mason University’s Founders Hall. Women entrepreneurs will lead sessions on marketing, government contracting, access to capital and product development and launch. Running a business is an amazing achievement of success. It is not easy. Nor is it for everyone. Many of our women entrepreneurs have great stories to tell as they journey to embody their dreams. Want to be your own boss? Tired of the day-to-day grind? Do you have dreams of launching your invention dancing in your head? Starting a business is not an easy endeavor. 1. Add Experiential Marketing — Experiential marketing is a small business trend that is growing in popularity. Providing your customers with a unique and fun engagement with your brand helps to instill loyalty. It could be as simple as having your customers interact with the naming of a product or service or interactive social media campaigns. Remember to stay on brand, and not get off message. 2. Provide Excellent Customer Service — Excellent Customer service is key to differentiating your business from the competition. 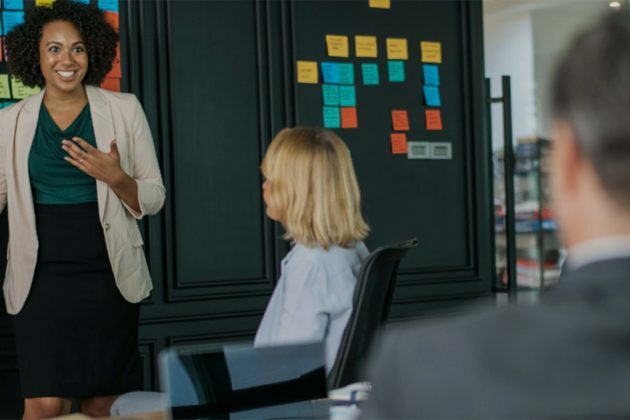 In today’s fast-paced world where everything moves at a lightening speed, many businesses forget to provide the best customer service through each touch with their customers. This trend never grows old. Ensure your staff as well as management is trained on how to provide the best customer service experience. 3. Build Sustainable Relationships — Although there are mobile apps for just about everything, and a ton of transactions occur online versus at the mall — old fashioned relationships where everyone knows your name is priceless. We buy from those we trust. Trust is earned through interaction. Expand your network, and build relationships every day. 4. Encourage Employee Happiness — Unemployment is at an all-time low. How do you retain talent and ensure your staff is engaged at all times? Create and maintain programs to ensure your employees are happy. Studies show that when employees are happy daily productivity is boosted by 10-25%. 5. Incorporate Social Entrepreneurship — Social entrepreneurship is the art of promoting a worthy cause as you build your business. 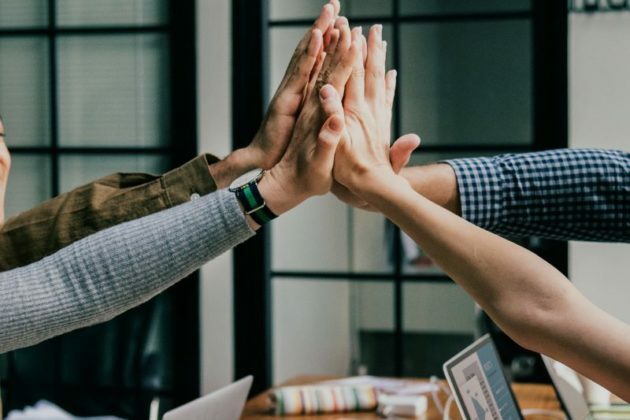 Many small businesses in 2019 incorporate an area of social entrepreneurship whereby they strategize to make a difference in the world. They build social entrepreneurship into their business model. This is a long-term trend, and has no sign of slowing down. Many small businesses are adding social entrepreneurship to their overall strategy as they launch. 6. Understand policies and regulations governing your industry — This trend never gets old. As an entrepreneur before you plan to launch, understand the policies (I.e., national, state and local) that regulate your industry, and could potentially impact the success of your endeavors. Let’s keep the conversation going! 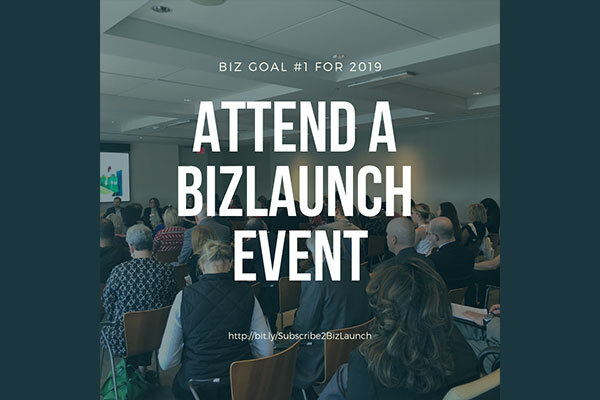 BizLaunch is hosting its bi-annual Starting a Business workshop on Monday, February 11, 2019 at Arlington Public Library, Central. Hear the latest trends in launching a small business, and get all the resources you need to successfully start your endeavors. By Victor Hoskins, Director at AED. It has been two months since Amazon announced its plan to bring its major new headquarters to Arlington. In that time we have been busily planning and answering Arlingtonians’ many questions about the project. However, here at Arlington Economic Development, we are already looking ahead. What’s next for Arlington’s economic landscape? The Amazon effect, as it is being called, has been a game-changer for Arlington’s business community. 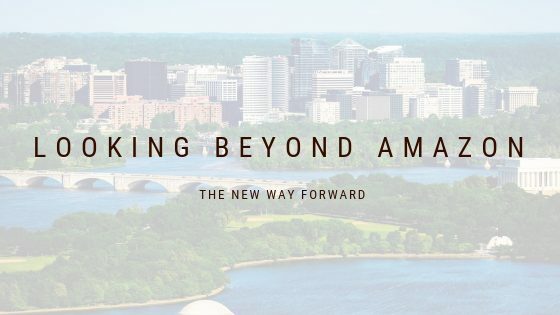 Not only does Amazon’s decision really cement Arlington as a technology leader on the East Coast, the revenue generated from this company in the coming years will go a long way toward restoring stability to Arlington’s office environment, which has suffered from years of high vacancies. Amazon will gradually reduce the eight million square feet that currently stands vacant in Arlington. Each one percent of vacant office space that we fill yields $3.4 million annually in new local tax revenues– revenues that help to provide resources and amenities valued by our community. In a time when we all have faced difficult decisions regarding the County budget, this needed revenue comes at the perfect time. But by no means is this a time to sit on our laurels. It just changes the conversation a little. In addition to putting a dent in Arlington’s office vacancy rate, what Amazon has truly done is put us on the map as a desired location to do business. That is where the real work begins. The AED team is always working to find the next innovative company that is considering making Arlington its home. We are focusing on diversifying our economic base. We have come a long way in the last four years, but there is still work to be done to ensure Arlington’s place as a leader in the innovation economy. The Amazon deal did something else that will also help to propel us into the future. That deal set truly unprecedented levels of partnership between jurisdictions and the Commonwealth of Virginia to ensure success, and that partnership around the region is something we only see growing. It is truly a regional economy now, and we need to think that way moving forward. I look forward to working closely with my colleagues at the Virginia Economic Development Partnership as well as the counties throughout Northern Virginia. In addition, D.C. and Maryland Counties across the river are colleagues I have come to value not just as coworkers, but also as friends. We have all discovered that by working together, the entire region benefits, and I believe that is the true Way Forward formula that will bring economic success to Arlington. What New Year’s resolutions are on your list this year? Today marks the 9th day of the New Year. Have you stuck to your New Year’s Resolutions for your business? Or are you still working on what you’d like to do for the year? Planning and executing a strategy at the start of the New Year is a great way to ensure you accomplish your business goals in 2019. 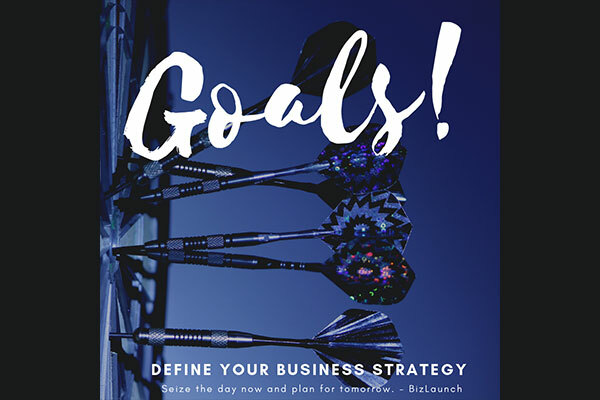 BizLaunch is offering two new workshops this month which can help you to achieve your goals in 2019. Our first event is “Branding Your Biz 2019: Best Practices for Startups,” and the next is our highly popular — quarterly Brunch and Business on, “Raising Capital in 2019.” Marketing and financing are two topics in demand at BizLaunch in 2019. As a business, develop a clear branding plan for 2019. Implement consistent, almost predictable activities on all online and offline platforms (Think GEICO… all their ads have the same look and feel whether on TV, radio or in print). Your clients, colleagues and associates should be able to clearly identify your business via marketing initiatives regarding your products or if you are sponsoring an event. Use the same “voice,” of your business even if someone else is producing your materials. If no one sees your business at leading industry events — you do not exist in the marketplace. Identify and attend events, conferences and networking programs where it is both logical and beneficial for your organization to participate. While being seen at events, do ensure your business cards, promotional and marketing materials are up-to-date with the latest branding. Sponsor events and activities where you can quantify your return on investment. What do your customers like and dislike? Which platforms are your clients on? Ask your clients for referrals and build your brand around customer loyalty. Don’t try to please more than your direct target market. It can be costly and too much work. Produce high value to a well-defined audience. The more you are seen with your brand — the more people equate you with the success of the brand. Repetition and being known in an industry are key tools to a healthy brand. It takes a minimum of 6-8 touches before the brand is recognized by a target market. Therefore, it is important every time a potential client sees your brand your business is using the same imagery. If you are presented today with an opportunity, do you have enough liquidity to successfully accomplish the initiative? What types of work will you be undertaking in 2019, and how much will it cost you to execute the proposal? If something goes wrong, how much will you have to pay to get out of the opportunity? If something goes too well, do you have the cash on hand to respond to the demand? How are banks structuring business loans in 2019? Is it possible to get a loan from a bank? Are investors looking for specific qualities from businesses to invest in them? How much does a business need to give up in receiving an investment? Are investors interested in your industry? 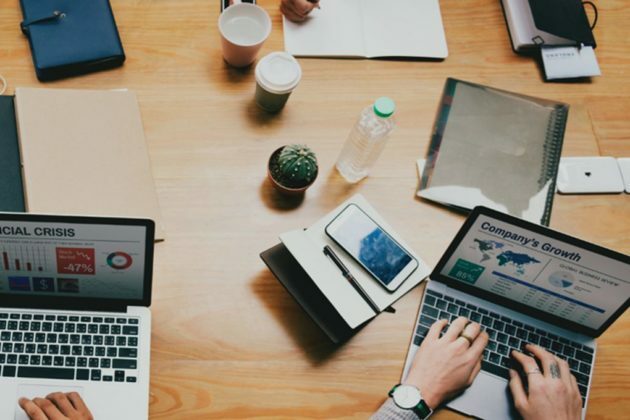 There is the opportunity to use crowdfunding to finance business endeavors; however, is this something one can use to underwrite expenses, and if so how much will it cost? Will the Federal Reserve increase interest rates this year? What are the current rates offered by banks, and how will this affect the buying power of the business? What are other banks offering, and should an entrepreneur lock in a rate now versus a year from now? Contact your accountant to see how interest rates, and the recent changes to tax law will impact your business in 2019. Economists are predicting slow economic growth this year or a recession in 2020 based on current activity. How will this impact your buying power and what should you be doing today to plan for a slowdown in the market tomorrow? Do a fact check of your industry and look for signs of changes in financing trends. A rule of thumb in financing is to go after capital when you don’t need it. 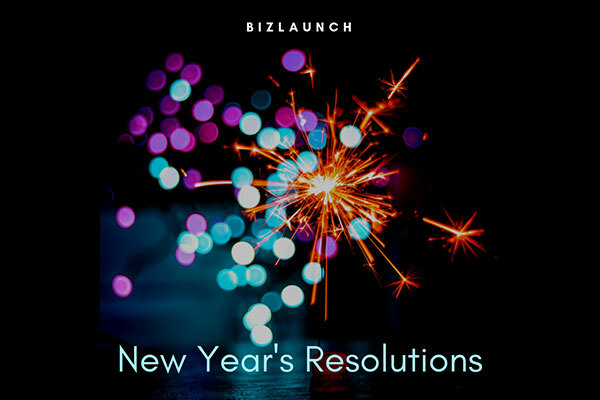 If you have more questions, please put on your New Year’s list to attend a BizLaunch workshop in 2019. We hope to see you at a BizLaunch program in the New Year! Here’s to a productive and profitable 2019.